Deux hommes ont été placés en détention et inculpés pour trafic de drogue: un Iranien qui était au volant du camion et un Turc, soupçonné d’être le destinataire de la livraison, a annoncé le procureur de Haskovo dans un communiqué. Les deux hommes risquent de 15 à 20 ans de prison. La marchandise – divisée en 144 paquets – était dissimulée dans la cargaison du camion, passé aux rayons X, au passage au poste-frontière de Kapitan Andrevoo, entre la Turquie et la Bulgarie dimanche. 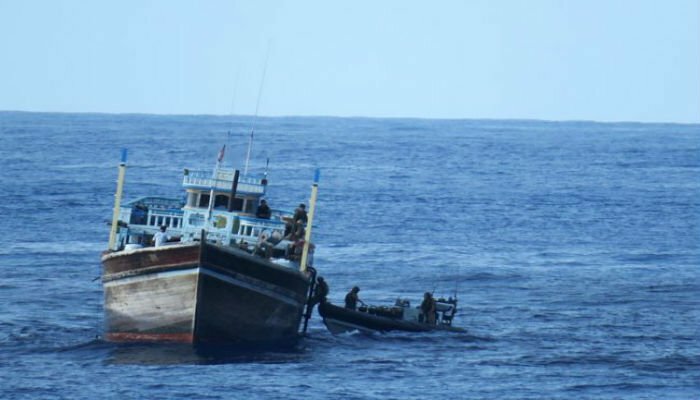 COLOMBO (News 1st) – The Iranian vessel and the nine Iranians arrested for transporting heroin this morning have been brought to the Colombo harbour. The operation was carried out based on a tip-off received by the STF last night(March 23). The raid was conducted jointly by the STF, Navy and the Police Narcotics Bureau. A total of 108kg of heroin was discovered in the vessel. On Monday night, the intelligence forces launched three operations in Kerman and captured the ringleaders, the official noted, adding that 1,300 kilograms of opium, assault rifles and three vehicles were seized in only one of the raids. More than 300 kilograms of drugs was confiscated in the eastern parts of Kerman in another operation on Monday, he added. 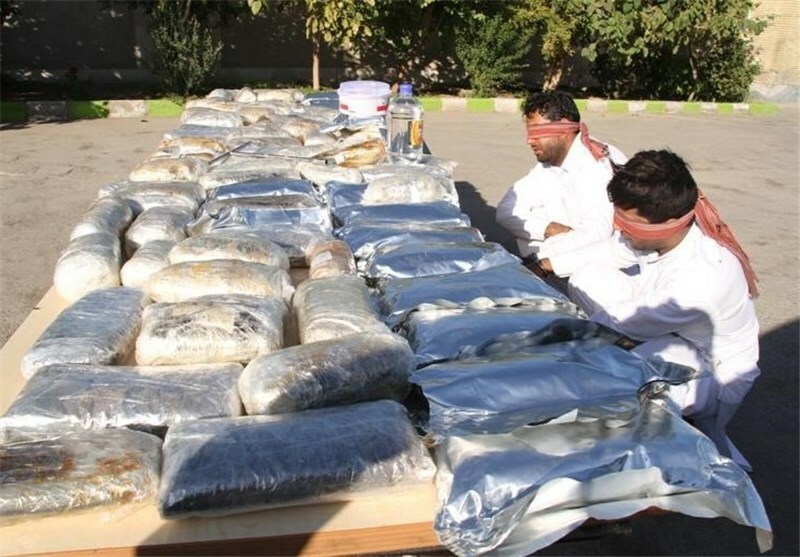 TEHRAN, July 12 (Xinhua) — Iranian police have seized about 2,008 kilograms of narcotics in the southeastern province of Sistan and Baluchestan, the official IRNA news agency reported Thursday. Among the drugs seized included 902 kg of opium, 74 kg of hashish, and 32 kg of heroin, Ahmad Taheri, deputy police chief in the province, was quoted as saying. 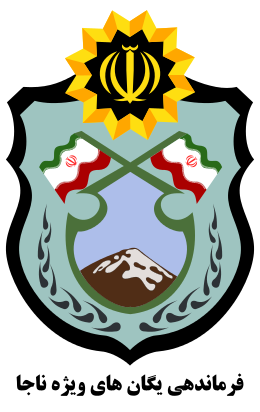 In the police operations, five smugglers were arrested, and three Kalashnikov machine guns and three Toyota vehicles were confiscated, Taheri said. Iran, which has a 900-km common border with Afghanistan, has been used as the main conduit for smuggling Afghan drugs to Europe. L’élite de la Force Qods du Corps des Gardiens de la Révolution islamique (I.R.G.C.) dirige un réseau international de réseaux criminels organisés pour introduire clandestinement de la drogue dans toute l’Europe. Citant des sources anonymes du système judiciaire italien, l’Arabian report affirme que le cerveau des opérations de la police de Quds est l’ancien général de la Force Qods Gholamreza Baghbani. Des membres du Hezbollah libanais et des forces de mobilisation populaire irakiennes (P.M.F.) seraient membres de ce réseau criminel. Les cargaisons de drogue seraient introduites clandestinement de l’Afghanistan à la province iranienne du sud-est du Sistan et du Baluchestan, d’où elles sont alors expédiées en Europe. Les autorités italiennes ont découvert que des trafiquants irakiens amenaient de l’héroïne de l’Iran vers l’Italie via l’Irak et la Turquie pour être distribuée dans différents pays européens. Ce n’est pas la première fois que des allégations de trafic de drogue sont portées contre le I.R.G.C. et sa force Quds secrète. En 2007, le général Baghbani, alors chef de la Force Qods à Zahedan, capitale du Sistan et du Baloutchistan, a été désigné par le Département du Trésor des États-Unis comme narcotrafiquant. Le Trésor a déclaré à l’époque que Baghbani «autorisait les trafiquants de stupéfiants afghans à faire passer des opiacés à travers l’Iran en échange d’une aide». Dernièrement les autorités allemandes ont saisi une cargaison d’héroïne dans deux camions iraniens. Selon la Deutsche Welle, la police a arrêté les camions arrivant de Turquie où des chiens renifleurs ont découvert 150 kilogrammes. Le procureur a déclaré que les camions qui provenaient d’Iran, sont entrés en Allemagne via la Turquie. 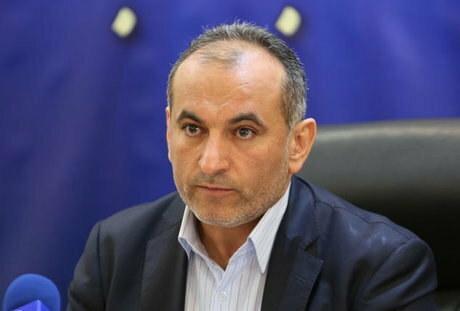 TEHRAN — Iran is giving a helping hand to Afghanistan in fight against drug trafficking, spokesman for Afghanistan Ministry of Counter Narcotics Mohammad Hanif Daneshyar has said. Illicit narcotic cultivation, production, trafficking, and consumption flourish in Afghanistan, particularly in areas where instability is high and state institutions are weak or non-existent. 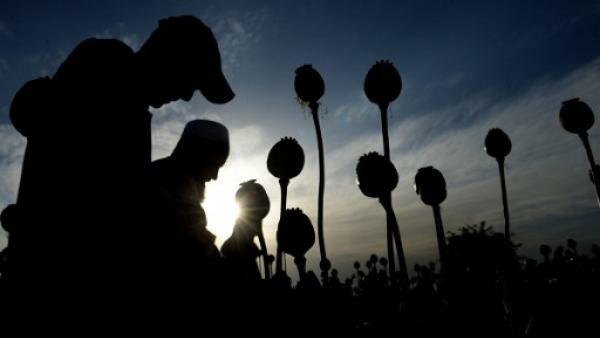 About 90 percent of illicit poppy cultivation takes place in these regions. The United Nations Office of Drugs and Crime (UNODC) and the Afghan Ministry of Counter Narcotics estimate that 224,000 hectares (ha) of opium were cultivated in Afghanistan in 2014, with a total yield of 6,400 metric tons (MT) of raw opium. This represents a seven percent increase in cultivation and a 17 percent increase in opium production from 2013. Traffickers provide weapons, funding, and other material support to the insurgency in exchange for the protection of drug trade routes, fields, laboratories, and trafficking organizations. Some insurgent commanders engage directly in drug trafficking to finance their operations. However, drug trafficking is not limited to insurgent-controlled areas and the narcotics trade and undermines governance and rule of law throughout the country. Afghanistan is deeply involved in every facet of the narcotics production cycle, from cultivation to heroin production to consumption. Drug traffickers trade in all forms of opiates, including unrefined opium, semi-refined morphine base, and refined heroin. The Afghan narcotics trade is highly evolved. Afghanistan leans heavily on assistance from the international community to implement its national counter narcotics strategy. Among the neighboring countries as Daneshyar has told Mehr news agency Iran is one of Afghanistan’s main partners in fighting narcotics along with some central Asian countries. “Afghanistan is not politically in a good condition and other regional countries are more capable to fight drug traffickers,” he highlighted. Terrorist groups are in close collaboration with drug traffickers in Afghanistan and the government is trying hard to stop them, he noted, regretting, terrorism and drug trafficking are inextricably interwoven in Afghanistan and the insurgent-controlled areas in the country are best places for drug traffickers. Terrorist groups are deriving much of their income from the drug trade, he said. As reported by the United Nations the income arise from drug trafficking in Afghanistan amounts to some $70 billion. Iran has actively collaborated with Afghanistan along the border areas to fight drug gangs and traffickers, he added, stating, that’s why the condition is much better in border areas with Iran. 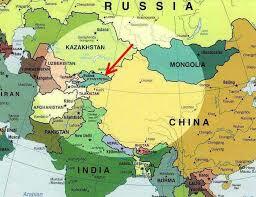 However, Daneshyar criticized Pakistan for not undertaking real efforts to fight narcotics in Afghanistan. He further reiterated that regional support can positively benefit Afghanistan in the battle against narcotics. According to UNDOC the Balkan and northern routes are the main heroin trafficking corridors linking Afghanistan to the huge markets of the Russian Federation and Western Europe. 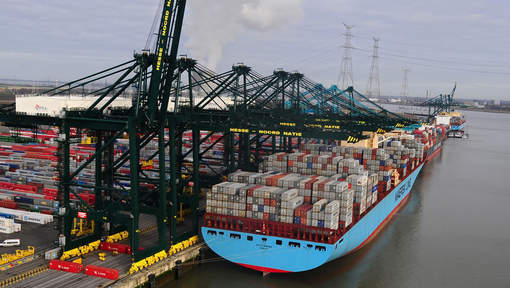 The Balkan route traverses the Islamic Republic of Iran (often via Pakistan), Turkey, Greece and Bulgaria across South-East Europe to the Western European market, with an annual market value of some $20 billion. The northern route runs mainly through Tajikistan and Kyrgyzstan (or Uzbekistan or Turkmenistan) to Kazakhstan and the Russian Federation. The size of that market is estimated to total $13 billion per year. As per a report published on Politico last week Hezbollah exploded into a major cocaine trafficker for the United States over the past decade—and it happened under former President Barack Obama’s watch to help score a nuclear deal with Iran. The report wrongfully claims that Project Cassandra, a campaign launched by the Drug Enforcement Administration in 2008, found that Hezbollah collected $1 billion a year from money laundering, criminal activities, and drug and weapons trade. Accordingly the report has falsely accused Iran of supporting Hezbollah drug trafficking including cocaine shipments from Latin America to West Africa, as well as through Venezuela and Mexico to the United States. TEHRAN (Tasnim) – Iranian police forces managed to seize more than 2,000 kilograms of narcotics in the southern province of Kerman in a single operation against an international drug ring, according to a local police commander. Speaking to reporters in Rudbar-e Jonoob in Kerman Province on Sunday, Colonel Reza Firouzbakht said in an armed clash with the international drug gang in the city, the intelligence forces of the police managed to smash the ring. During the operation, over two tons of illicit drugs were seized, he said, adding that the intelligence forces also managed to capture two combat weapons and a large amount of ammunition from the drug smugglers. Iran has seized more than 16 tons of various types of illicit drugs in the southern province of Hormozgan, the provincial police chief announced on Wednesday, according to Tasnim news agency. Tags:30% of narcotics in Afghanistan transited to Europe through Iran, is not possible to abolish death penalty for drug trafficking completely. TEHRAN – Parviz Afshar, the head of Iran’s Drug Control Headquarters, said on Sunday that 30 percent of the narcotics being produced in Afghanistan are smuggled to Europe through Iran. The drug produced in Afghanistan is also smuggled to Western countries through the Caspian Sea and the Indian Ocean, ISNA quoted Afshar as saying. International drug traffickers buy narcotics from Afghanistan and smuggle them through Iran to European countries, he explained. Elsewhere, he said that it is not possible to abolish death penalty for drug trafficking completely. Voisin de l’Afghanistan, qui est le principal producteur d’opium dans le monde, l’Iran est une route de transit de la drogue vers l’Europe et les pays du Proche-Orient. Mais la drogue est aussi distribuée en contrebande dans le pays, ce qui explique une forte augmentation du nombre de drogués. Speaking to the Tasnim News Agency, General Hossein Rahimi said in an operation mounted early on Wednesday morning, the law enforcement forces managed to kill Khodabakhsh Balouch, a notorious outlaw who was behind the deaths of several polices officers in the province. 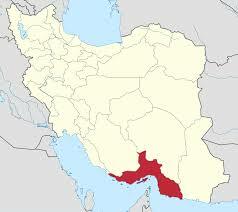 He further highlighted two other operations in the cities of Iranshahr and Saravan in Sistan and Balouchestan over the past 24 hours and said two major drug rings were smashed in the operations. The commander added that seven members of the drug rings were arrested and four tons of illicit drugs and some weapons and ammunition were also seized from the smugglers. Police and security forces have been quite successful in ensuring security in the province despite its long borders with Pakistan and Afghanistan, harsh weather and vast desert areas. Iran, which has a 900-kilometer common border with Afghanistan, has been used as the main conduit for smuggling Afghan drugs to narcotics kingpins in Europe. Despite high economic and human costs, the Islamic Republic has been actively fighting drug-trafficking over the past three decades. The country has spent more than $700 million on sealing its borders and preventing the transit of narcotics destined for European, Arab and Central Asian countries. The war on drug trade originating from Afghanistan has claimed the lives of nearly 4,000 Iranian police officers over the past four decades. 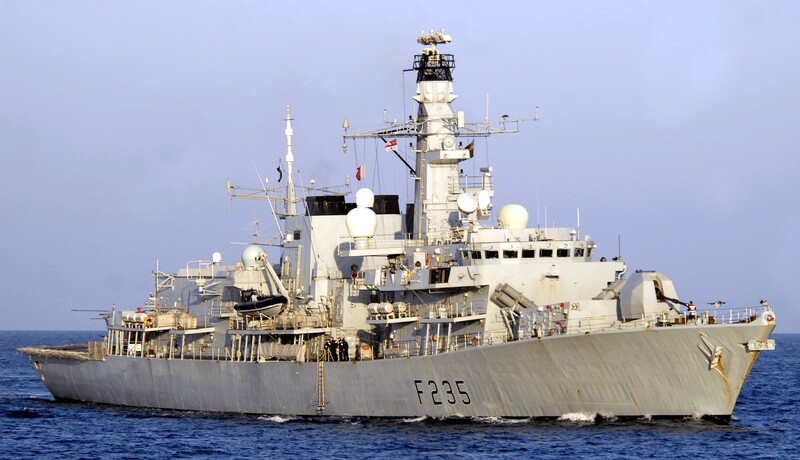 « Such a substantial seizure of drugs will deal a significant blow to the international narcotics trade which is known to provide funding for terrorist organisations,” said HMS Monmouth’s Commanding Officer Ian Feasey. Lieutenant Alison Ross, one of HMS Monmouth’s boarding officers, said: « After such a long search I had doubts we would find anything, but the reactions of the crew to our activity in certain areas was enough to convince us that there was illegal cargo. The contrabands, which were hidden in the freezer of a fishing ship, were later destroyed by the British soldiers. The suspicious dhow was intercepted by two teams of the British war ship in the Indian Ocean in an area not normally known for fishing. 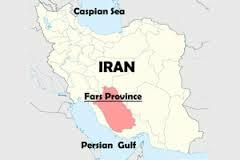 TEHRAN (Tasnim) – Iran’s anti-narcotics police forces in the southeastern province of Sistan and Balouchestan have managed to arrest two drug dealers, seizing 716 kilograms of opium from the criminals, the provincial police chief said. Brigadier General Hossein Rahimi said on Tuesday that following extensive and round-the-clock efforts, the anti-narcotics police forces of Sistan and Balouchestan Province identified a major drug-trafficking gang, which used to transit big hauls of illicit drugs from Zahedan, the province’s capital, to other parts of the country. PAKISTAN: Coast Guards seized 2600kgs of narcotics during an operation in Pasni area of Balochistan. 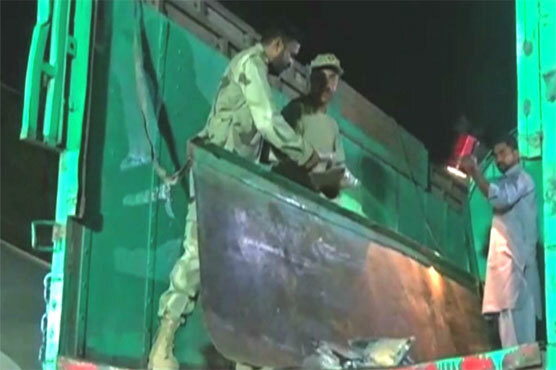 PASNI (Dunya News) – Pakistan Coast Guards conducted an operation in Pasni, Blochistan on Monday and seized 2600 kilograms of narcotics from a truck, Dunya News reported. According to details, Pakistan Coast Guards on intelligence reports conducted an operation near Badook Check Post in Pasni and recovered 2600 kilograms of hashish from the secrete chambers of a truck. At least two accused were also arrested. Plus de 400 kg d’héroïne d’origine iranienne ont été saisis à la frontière entre la Bulgarie et la Roumanie dans un camion à destination des Pays-Bas, a annoncé dimanche le directeur des Douanes bulgares, Gueorgui Kostov. «La drogue saisie pèse 423 kg 222 grammes au total. Selon les premières analyses, la pureté de l’héroïne est extrêmement élevée: près de 70%. 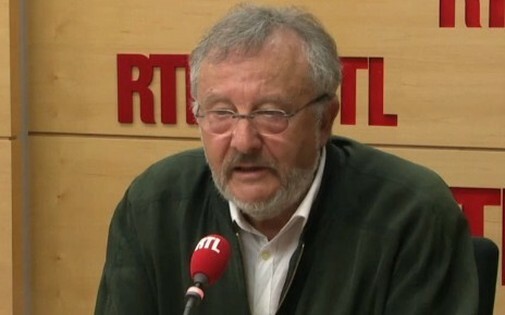 Son prix est estimé à 63,484 millions de leva (32,5 millions d’euros), selon les valeurs de référence du système judiciaire», a déclaré M. Kostov lors d’une conférence de presse. «Il s’agit de la plus grande quantité de drogue jamais saisie en Bulgarie à bord d’un seul moyen de transport», a souligné le procureur général, Sotir Tsatsarov. La drogue a été découverte samedi matin au poste-frontière de Vidin – Kalafat, à la frontière ente la Bulgarie et la Roumanie. 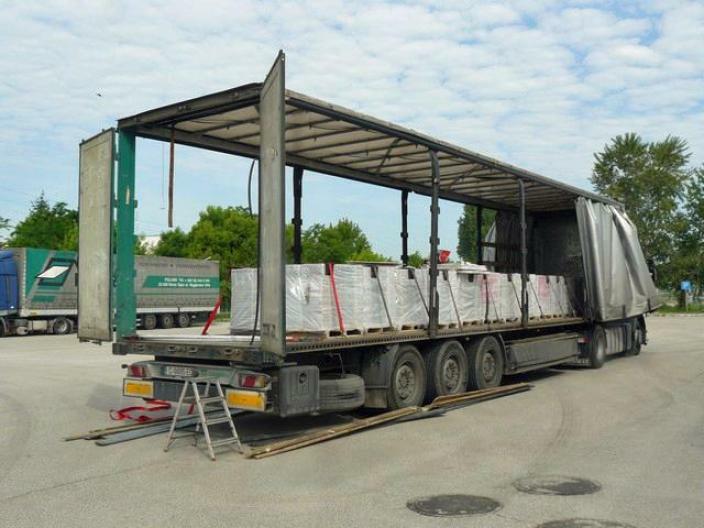 Le camion transportait 400 paquets de drogue cachés parmi des carreaux de plâtre destinés à une entreprise de produits alimentaires aux Pays-Bas, a précisé le procureur général. La route du Nord, l’une des voies les plus empruntées par les trafiquants de drogue passe par les républiques d’Asie centrale, y compris le Kirghizstan. Selon les services anti-drogue, environ 75 tonnes de stupéfiants durs, comme le haschisch et l’héroïne, transitent tous les ans par cette route qui relie l’Afghanistan à la Russie et à l’Europe. Six Néerlandais ont été interpellés mardi, soupçonnés d’être impliqués dans un trafic international d’héroïne, à la suite de la découverte lundi au port d’Anvers de plus de 1.100 kilos d’héroïne dans un conteneur. La douane et la police d’Anvers ont collaboré dans cette enquête avec les services de police néerlandais. Mardi, une entreprise a livré le conteneur à Heijen, dans le Limbourg néerlandais. Deux Amstellodamois y sont venus ouvrir les machines et ont été interpellés. Un troisième homme, de Sittard, a été arrêté ensuite, ainsi que trois autres individus liés à l’entreprise qui s’était chargée du transport du conteneur, située à Rotterdam. Il s’agit du chauffeur de 28 ans qui avait effectué le trajet vers Heijen, et de deux hommes de 34 ans, de Rotterdam et Amersfoort. 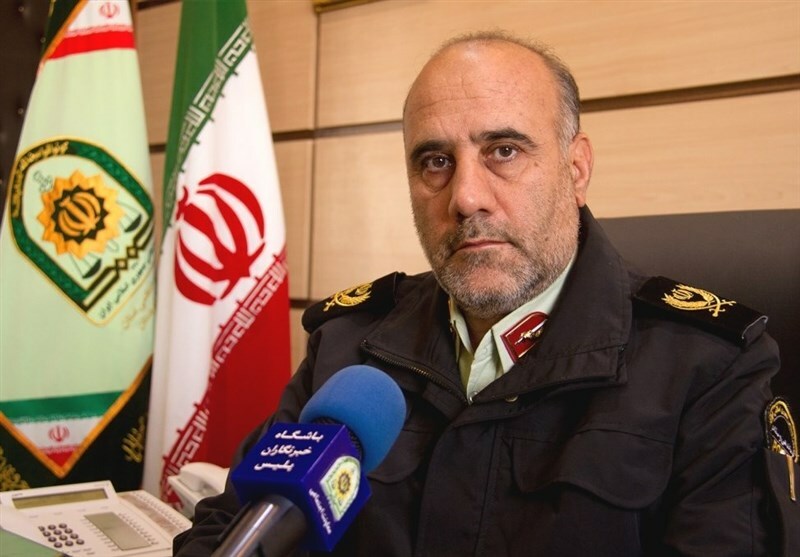 During the past ten months, around 30 tons of illicit drugs were seized in the southern Fars Province, said Iran Police Chief Brigadier General Hossein Ashtari. Speaking at a press conference in Shiraz on Wednesday he said, “Nearly 12,000 people involved in drug trafficking were identified and arrested in the province by the anti-narcotics police, and 30,000 kg of different types of narcotics were seized in the first 10 months of the current fiscal year that ends in March.” Iran, which has a 900-km common border with Afghanistan, has been used as the main conduit for smuggling Afghan drugs to narcotics kingpins in Europe. More than $700 million has been spent on sealing its borders and preventing the transit of narcotics destined for European, Arab and Central Asian countries. At least ten people were reportedly executed for drug offences in Iran last week, despite authorities having publicly questioned the rationale behind executing people for such crimes. TEHRAN (Tasnim) – Iran’s anti-narcotics police forces managed to seize more than 1,400 kilograms of illicit drugs in two operations in the southeastern province of Sistan and Balouchestan, the provincial police chief announced. 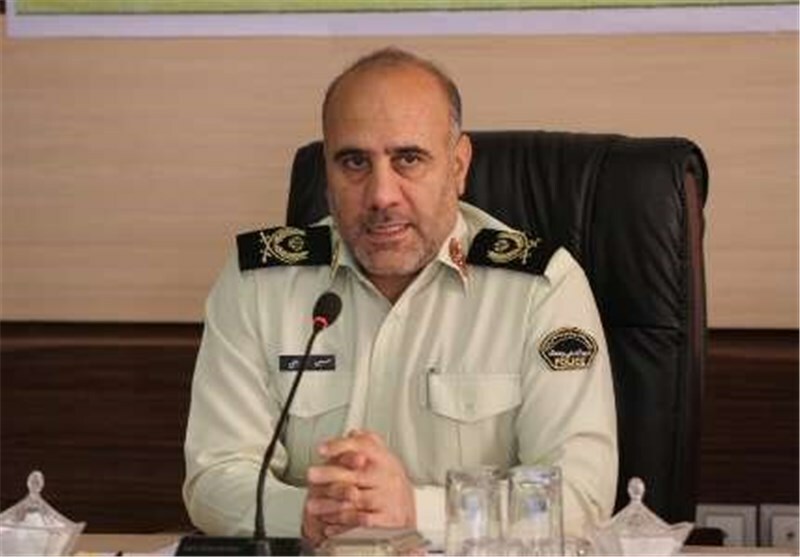 Speaking to Tasnim, General Hossein Rahimi said that after extensive and round-the-clock intelligence activities, police forces in the cities of Mehrestan, Sib and Suran, and Khash identified an armed drug-trafficking gang attempting to transit a big haul of illicit drugs.